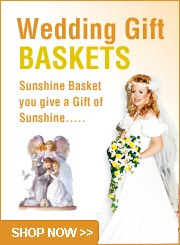 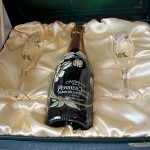 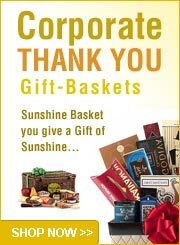 Wedding guest gift basket delivered to Vegas hotels. 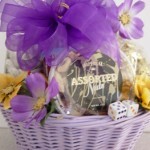 We designed this basket as a brides gift for each couple that attended their Las Vegas Wedding! 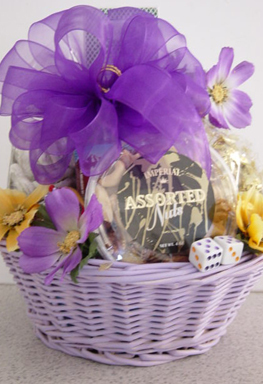 Lavender basket with snack mix, cookies, chocolates, frosted pretzels, playing cards, dice and bottled water. 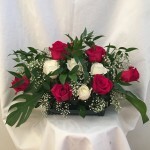 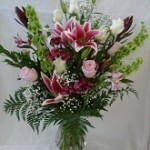 Decorated with silk floral, wrapped with cello and tied with a custom hand tied bow. 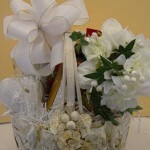 Ask us to customize a basket for your wedding party. 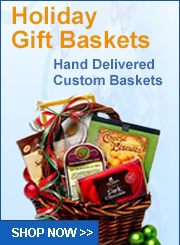 Customized baskets are our specialty.